Rev. Clarence J. Biladeau, CSV, died suddenly on Wed., March 15, 1989. Father Biladeau suffered a massive heart attack and died at St. Joseph’s Medical Center in Joliet, Illinois. He was 72 years old. Clarence Biladeau was born in Kankakee on April 2, 1916, the son of Amedee and Bessie (Dahling) Biladeau. He entered the Viatorian Novitiate in September of 1936 and pronounced his first vows on September 8, 1937. 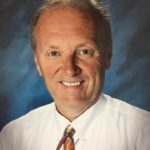 After attending St. Viator College for two years, Father Biladeau continued his undergraduate studies at St. Louis University and received his B.A. in history in 1940. He also received a M. A. in Modern European History from Catholic University of America in 1944. After theological studies at Catholic University, he was ordained to the priesthood by Archbishop Samuel Stritch of Chicago on June 12, 1944. In 1944 Father Biladeau began a long career in parochial ministry and in community service. He served as an Associate Pastor at Our Lady of Grace Parish in Chicago (1944 – 1947) and at St. Patrick’s in Kankakee (1947 – 1951). From 1951 to 1954 he was the Director of the Viatorian Scholasticate in Davenport. He then served as Pastor of St. Anne Parish from 1954 – 1958 and later taught at the Viatorian Seminary, both in Evanston and in Washington, D.C., from 1958 – 1962. He served as Pastor at Maternity B.V.M. 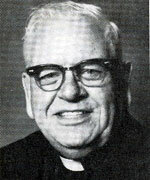 in Bourbonnais from 1962 – 1968 and Associate Pastor at St. Viator Parish in Chicago from 1968 – 1973. Following a term as Director of the Pratt Avenue Residence from 1973 – 1980, Father Biladeau returned to the Kankakee area to serve as an Associate Pastor at St. Rose of Lima (1980 – 1986). Since 1986 he had served as resident chaplain for Our Lady of Angels Retirement Home in Joliet. Visitation for Father Biladeau was held on Friday, March 17, 1989 from 10:00 a.m. to 1:00 p.m. at Our Lady of Angels Retirement Home in Joliet and from 4:00 to 8:00 p.m. at Maternity B.V.M. Parish in Bourbonnais. A prayer service was held at 7:30 p.m. A Funeral Mass was celebrated at Maternity B.V.M. on March 18, 1989 at 10:00 a.m. Burial was in the Viatorian section of Maternity Cemetery. Please include Father Biladeau in your prayers and gather together in local communities to remember him at Eucharist. The Province has much to be thankful for in the life of this gentle and compassionate man.